It’s nothing special. It’s just that I am a big fat bookworm and I’m loving it. How about you? Do you love reading? And do you enjoy floating? Good. Because if it is so, there is a huge chance that you are going to find this article rather interesting. So keep on reading. It is funny to realize that reading and floating are two very different activities that have a lot of common. They are both good for the brain and they significantly reduce stress. On one hand, diving into a captivating book puts our brain to work, thus always keeping it in a healthy shape. On the other hand, effortlessly floating in a sensory deprivation tank does exactly the opposite – it completely relaxes the brain and that offers some truly astounding mind benefits. 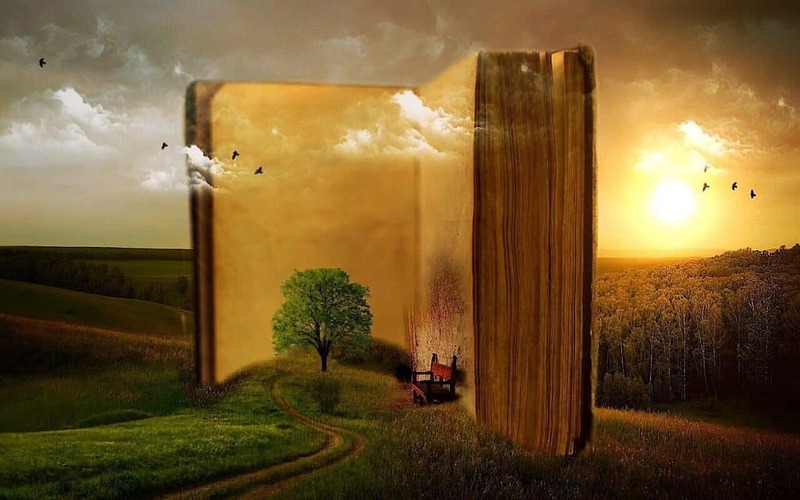 The four books that you are going to see in this article will please everyone who enjoys high-quality reads and has a certain interest in self-awareness, wellness, and floatation therapy. It doesn’t matter if you are a newbie or an experienced floater with regular practice. In both scenarios, these books will thrill you, enlighten you, and inform you in a way that you are going to find fascinating. These are all perfectly rated best-sellers that are skillfully written. Most importantly, they contain curious facts about the mysteriously attractive world of the sensory deprivation and the powerfulness of the human mind. Probably you are thinking that when it comes to sensory deprivation, it’s always better to do it instead of reading about it. You are quite right. However, when it comes to great books, the following are not to be missed. Without a further ado, let’s briefly explore them one by one. The full title of this mesmerizing book is ‘The Float Tank Cure: Free Yourself From Stress, Anxiety, and Pain the Natural Way’. In 2014, the author Shane Stott has revolutionized the business of sensory deprivation tanks by co-founding ‘Zen Float Co’. The company manufactures the groundbreaking Zen Float Tent – the first affordable float tank in the world intended entirely for home use. The tank made floating more available than ever but it also popularized the mind-bending benefits of sensory deprivation for one’s health. In this #1 Amazon.com bestseller, Shane shares his riveting personal story. He takes the reader on an exciting journey and makes him part of his troublesome youth, full of alcohol, stress, and anxiety. He reveals how floating and meditation immensely helped him fight depression, result of his overwhelming work schedule in the music industry. Shane is not only a pioneer in his own field but also a passionate floater and inventor with a ‘pay it forward’ approach. The book gives interesting insights about the sensory deprivation industry and the curiosities surrounding the creation of the zen float tent. 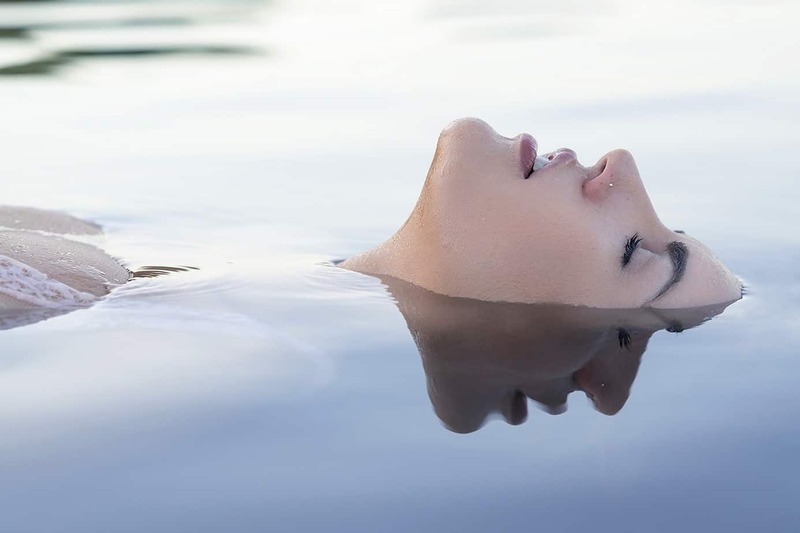 Written in a deeply engaging and highly informational way, ‘The Float Tank Cure’ showcases how floatation therapy could evoke a healing transformation in our lives. It’s difficult to say what’s more captivating – this book or the thrilling personal story of its author – Michael Hutchison who somehow managed to survive vicious dictatorship and genocide in Guatemala, El Salvador, and Nicaragua. He is mostly known for writing the celebrated books about the power of the human brain ‘Mega Brain’ and ‘Mega Brain Power’. ‘The Book of Floating’ is like an encyclopedia about sensory deprivation. It presents a detailed summary of floatation tanks and their therapeutic use. It is full of science-based facts about how floating in a tank could have miraculous effects on our quality of life. The author also gives practical insights into visualization, breathing techniques, and self-hypnosis. What is more, ‘The Book of Floating’ contains very helpful suggestions and advices whose purpose is to serve as a general manual how to use floatation therapy in order to make the most out of it. For instance, Hutchison describes what techniques to deploy in the floatation practice so that it would be beneficial for losing weight, gaining confidence, enhancing concentration, or achieving maximum physical rejuvenation. Masterfully written, absorbing, curious, and practical, ‘The Book of Floating’ is destined for everyone who wants to discover more about the alluring universe of the sensory deprivation and self-awareness. It’s not just a self-help book, it is a manual and a textbook backed up by science. Innovator, inventor, experimenter, genius, bizarre – John C. Lilly is all that. Widely known as the ‘father’ of sensory deprivation, the brilliant neuroscientist is famous for creating the first ever isolation tank back in 1954. Referred by many as ‘the mad scientist’, Lilly devoted all his life to exploring the human consciousness and doing researches on the mind. Sensory deprivation was the cornerstone of his studies. Published more than 30 years ago ‘The Deep Self’ is a perfect example of classic work. It contains the results of decades of zealous scientific research and experiments related to the peculiar, yet positive effects that the sensory deprivation has on one’s brain and behavior. John C. Lilly thoroughly describes how the participants in his studies are able to concentrate entirely on their inner perceptions thanks to the complete lack of any external stimuli in the tank. Motivated by the end result, Lilly was often not afraid to go beyond any established limits in order to accomplish his scientific goals. 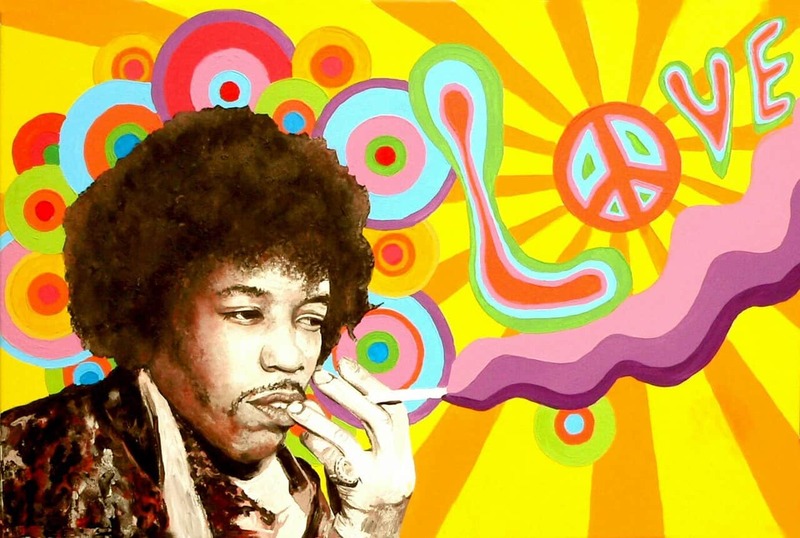 That is why he made eccentric experiments by taking serious amounts of psychedelics and LSD for the sole purpose of testing how the brain would react. Moreover, his experiments included communication with dolphins that he first declared as one of the most intelligent creatures on earth. What many would find interesting about ‘The Deep Self’ is that it also contains a practical guide on building a sensory deprivation tank at home. This is undoubtedly not only a deeply profound textbook on sensory deprivation and consciousness but also a thought-provoking exploration of the human mind. Definitely a good one. It’s not a surprise that the last book in this list is again authored by the psychedelics pioneer and controversial scientist John C. Lilly. It’s not that there aren’t any other books on sensory deprivation. It’s just that as the title if this article suggests, this book is a must-read. Why? Because it tells the story of one of the most interesting and provocative people in the 20th century, for starters. And it is written in his own words. In ‘Center of the Cyclone’ Lilly recalls leaving the mainstream science and focusing on his private research and bold exploration of the human mind. He immerses the reader into a universe full of curious facts, experiments with psychedelic drugs, and sensory deprivation tanks. The author masterfully writes about his intriguing quest for self-discovery and search for an ultimate metaphysical truth. The book is also a great read about the nature of consciousness and contains some valuable tips on how to program the mind in order to shape it as a tool for success. It is an entertaining ride from the start to the finish. It is also mandatory for everyone who has a keen interest in sensory deprivation, psychology, and self-awareness. Floatation therapy is not just lying in a sensory deprivation tank filled with salt-saturated water. It is quite possibly the most intimate and mind-bending experience that one can have. The four books presented in this article are all great in terms of proving that thesis. They will surely expand your knowledge about sensory deprivation and will give you a lot to think about. Have fun and read them, it is definitely worth it. What is your favorite book ever? Leave a comment below! I have to confess that I have never “floated” but it is something that I have really wanted to do for the last two years or so. There is a float tank center about an hour away from me and I unfortunately just have not made the time to do it although, I have read articles and listened to podcasts on it. I’m a huge reader and all of these books look very interesting, particularly the deep self so I will be checking them out. It definitely seems like there is a lot of positive effects to gain from floating. Thank you for writing this. Indeed, there are plenty of benefits coming from floating. I hope that you will find the time to try it. I didn’t even know these books existed! Where the Hell have I been? Then again, I suppose I haven’t really spent much time looking for new books to read, but sensory deprivation is a topic that I’ve always had an interest in, so I’m sure I’ll be able to learn a lot, even if I only remember to grab one of the many books you’ve mentioned. Make sure to read some of the books mentioned here given that you have a keen interest in sensory deprivation! Honestly I’m pretty sure I’ve seen this done in a show once where the host tried it for I think a half hour with all the senses blocked. When he came out he said that he immediately was overloaded with sensory simulation and actually had the urge to go back in. I thought that was pretty interesting. But since then I’ve always wanted to try it because they say it’s like nothing you’ve ever experienced. What would you liken it most to, sleeping? I wouldn’t say that floating is similar to sleeping in terms of sensation. Unlike it, lying in a sensory deprivation tank is kind of a self-aware experience. You feel fully relaxed and awaken at the same time. I urge you to try it to see what I am talking about. Actually this is exactly the information that I was looking for books about sensory deprivation and when I landed to your website and read this post, it answered all my questions in details. So I’m happy that you decided to write about this topic and share it with people. It’s very useful and can definitely be used as a great source for books about sensory deprivation. Thank you for stopping by and reading the article. I am happy that you liked what you read.